1/43rd scale diecast of a Ford Zephyr 6 MKIII in the livery of the Swedish National Police. The Swedish Polis were renowned for using a huge variety of different cars, including Chevrolets, VW Beetles and Porsche 911’s. 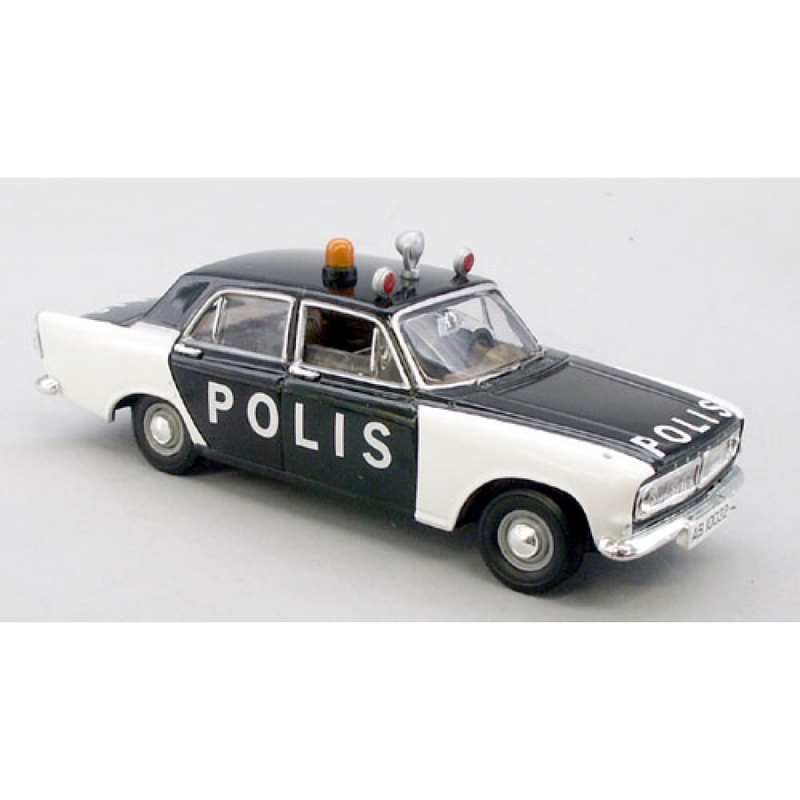 Together with their more familiar home grown products from Saab and Volvo it should therefore not be a surprise to see them also trying out the British build Ford Zephyr 6 MkIII as a general patrol car. This particular car was one of several Zephyr 6 models used in Stockholm. Limited edition release (2300 pcs. with certificate) by Corgi Vanguards.